Dr. Scott Sherman is an Associate Professor of Neurology, Director of the Movement Disorders Center, Medical Director of the Arizona Chapter of American Parkinson’s Disease Association, and Director of the Parkinson’s Disease Program of the HealthSouth Rehabilitation Institute of Tucson. Dr. Sherman’s areas of research interest include deep brain stimulation, gene therapy, and cell based therapy for Parkinson’s disease. Dr. Sherman's original articles and abstracts on understanding and treating Parkinson’s disease have been published by Science, Movement Disorders, Parkinsonism and Related Disorders, Neuroscience, and many other journals. He lectures before Parkinson disease support groups and other public meetings and has been invited to lecture to the medical community about new therapies and patient care issues with Parkinson disease and movement disorders. He holds memberships in the Movement Disorder Society and the American Academy of Neurology. 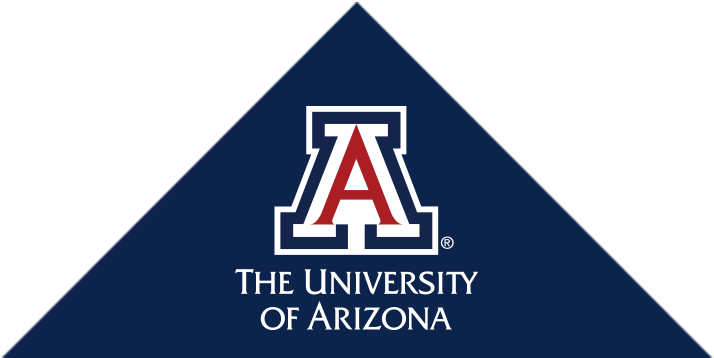 He has been awarded for outstanding achievement in teaching and outstanding progress in research by the University of Arizona College of Medicine. Kuo PH, Lei HH, Avery R, Krupinski EA, Bauer A, Sherman SJ, McMillan N, Seibyl J, Zubal GI. Evaluation of an objective striatal analysis program for determining laterality in uptake of 123l-loflupane SPECT images: comparison to clinical symptoms and to visual reads. Nuclear Medicine Technology, 2014, 42:1-4. DOI: 10.2967/jnmt.113.134940. Flores AJ, Bartlett MJ, So LY, Laude ND, Parent KL, Heien ML, Sherman SJ, Falk T. Differential effects of the NMDA receptor antagonist MK-801 on dopamine 1 and 2 receptor-induced abnormal involuntary movements in a preclinical model. Neuroscience Letters, 2014, 564:48-52. Yue X, Hariri DJ, Caballero B, Zhang S, Bartlett MJ, Kaut O, Mount DW, Wüllner U, Sherman SJ, Falk T. Comparative study of the neurotrophic effects elicited by VEGF-B and GDNF in preclinical in vivo models of Parkinson’s disease. Neuroscience, 2014, 258:385-400. Pankratz N, Beecham GW, DeStefano AL, Dawson TM, Doheny KF, Factor SA, Hamza TH, Hung AY, Hyman BT, Ivinson AJ, Krainc D, Latourelle JC, Clark LN, Marder K, Martin ER, Mayeux R, Ross OA, Scherzer CR, Simon DK, Tanner C, Vance JM, Wszolek ZK, Zabetian CP, Myers RH, Payami H, Scott WK, Foroud T; PD GWAS Consortium. Meta-analysis of Parkinson's disease: identification of a novel locus, RIT2. Ann Neurology, 2012 Mar;71(3):370-84. doi: 10.1002/ana.22687. PMID: 22451204. Sherman SJ, Study Collaborator. Falk T, Congrove N, Zhang S, McCourt A, Sherman SJ, McKay BS. PEDF and VEGF-A output from human retinal pigment epithelium cells grown on novel microcarriers. Biomedicine and Biotechnology (special issue: "Pigment Epithelium-Derived Factor: Chemistry, Structure, Biology, and Applications"), 2012, vol. 2012, Article ID 278932, 8 pages, doi:10.1155/2012/278932. Mabrouk OS, Falk T, Sherman SJ, Kennedy RT, Polt R. CNS penetration of the opioid glycopeptide MMP-2200: a microdialysis study. Neuroscience Letters, 2012, 531:99-103 http://dx.doi.org/10.1016/j.neulet.2012.10.029. Falk T, Yue X, Zhang SL, McCourt AD, Yee BJ, Gonzalez RT, Sherman SJ. Vascular endothelial growth factor B is neuroprotective in an in vivo model of Parkinson’s disease. Neuroscience Letters, 2011, 496:43-47. Cavanaugh JF, Cohen MX, Wiecki TV, Figueroa CM, Samanta J, Sherman SJ, Frank MJ. Subthalamic nucleus stimulation reverses mediofrontal influence over decision threshold. Nature Neuroscience, 2011, 14:11:1462-67. Yue X, Falk T, Zuniga LA, Szabò L, Porreca F, Polt R, Sherman SJ. Effects of the novel glycopeptide opioid agonist MMP-2200 in preclinical models of Parkinson's disease. Brain Research, 2011, 1413:72-83.